It was a foregone conclusion. 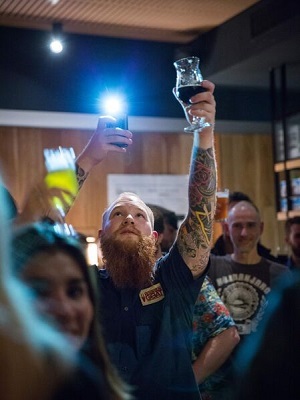 An event billed as “Victoria Against the World,” held at an excellent pub called the Terminus Hotel in the North Fitzroy neighborhood of Melbourne, Australia, during Good Beer Week in May, culminated in local favorite Boatrocker against London’s Beavertown, a whisky-barrel-aged imperial stout against a black IPA. Both were well-made beers, but when the hands went up to decide the winner, the English interlopers stood no chance. Victoria 1, Mother Country (not to mention the rest of the world) 0. 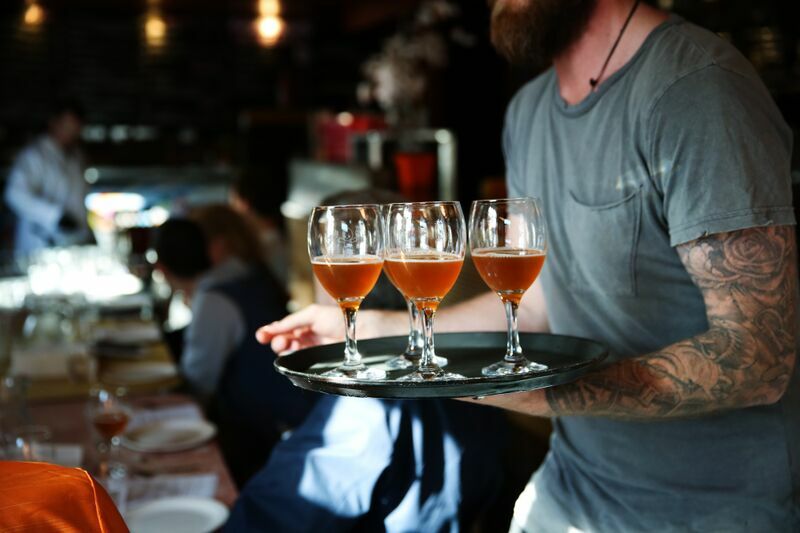 While that result might have had a little to do with home-state pride (Melbourne is the capital of the state of Victoria), there’s no doubt that Australia’s beer culture is developing fast. Nowhere is this more obvious than in Melbourne, which is well on the way to becoming one of the world’s great beer cities. It has become Australia’s beer capital over the past few years, with two dozen breweries (and rising) and numerous pubs popping up, particularly in the city’s fashionable inner northern suburbs. 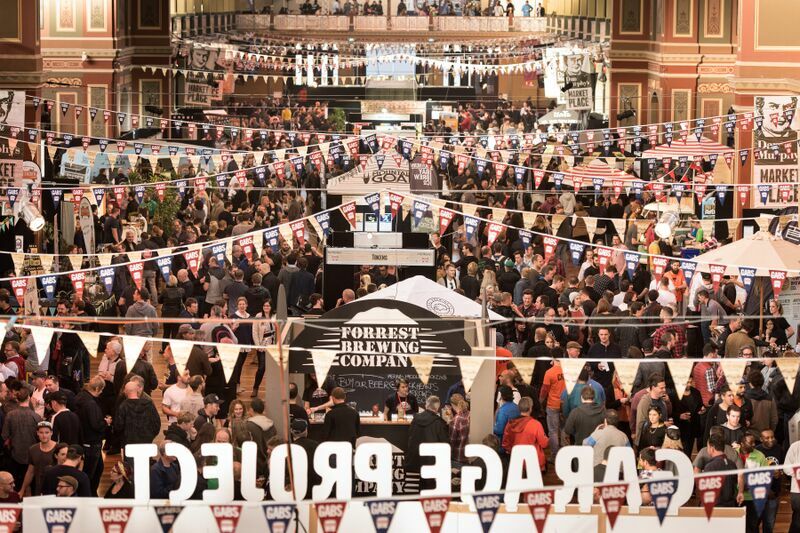 The fact that it is home to one of the world’s best beer weeks helps, too. That much is clear from the bar in which I meet Smith, Carwyn Cellars, in Thornbury, to the north of the city center. Once just a bottle shop, it now has a 16-tap bar at the back with further expansion (including a microbrewery) on the table, Smith says. During Good Beer Week, the bar was acting as an unofficial Belgian embassy; a remarkable selection—which, at different times, included beers from Rodenbach, Cantillon and Dupont—was proving hugely popular with a beer-savvy crowd. Elsewhere, food plays a central role. Advertisements for the Great Australasian Beer SpecTAPular—which forms the centerpiece of the week’s festivities and is somewhat analogous to the Great American Beer Festival—described it as “Australia’s greatest beer and food festival.” I went to an event at Tonka, a restaurant in downtown Melbourne, where sophisticated Indian food was paired with well-made, classically inclined beers made by Mornington Peninsula a short distance to the south of the city. Smoked trout betel leaf with coconut, chili, pomelo and lime—a small package with a big, complex flavor—worked beautifully with Mornington Peninsula’s spritzy, powerfully citrus-inclined witbier. Beer’s emergence in Melbourne isn’t really a surprise. Melbourne can perhaps be best explained as Australia’s answer to San Francisco, boasting a remarkable food and wine culture. It’s already one of the world capitals of coffee. It is the center of Australian bohemian culture, the city of both Nick Cave and AC/DC. This is a place that has long cared about what it consumes, and beer is gradually becoming its new obsession. This growing passion is leading to all manner of different approaches. Australia’s beer awakening came via the West Coast of the U.S., and many of the most popular beers—such as Feral’s resinous, orange-soda Hop Hog—are therefore American in style. Australian brewers, though, are starting to look closer to home, using local hops (the Australian hop industry is going gangbusters, with the biggest producer, Hop Products Australia, having recently invested Aus$15 million—US$10.5 million—to increase production by 50 percent) and playing with local ingredients and even the local environment. That’s what’s happening at La Sirene, a brewery based in Alphington, to the northeast of downtown. Owner and head brewer Costa Nikias does not do things by half; the champagne-style bottles his beers—most of which are saisons—are packaged in are imported from France, and the house yeast was flown from Wallonia. He believes Melbourne is still behind comparable American cities in beer terms, but the evidence suggests it’s catching up fast. Nikias is already playing with wild yeast, but bigger things are planned: The brewery is situated next to a deep creek, which Nikias believes is teeming with interesting life. He’s going to install a coolship in August to take advantage. “We firmly believe that this area has lots of viable yeast organisms that can and do ferment wort for a desirable outcome,” he says. “We’re aiming to showcase the wonderful and perhaps primitive flavor profiles that these very natural yeasts can achieve.” For that Alphington creek, read Melbourne. This is a city teeming with interesting life. Will Hawkes is the author of Craft Beer London. He writes for a number of publications including the London Independent, The Washington Post and the Melbourne Age.